Yipeee! Its springtime, its so nice to see daffodils and tulips. It really brightens up my day! So i decided to use tulips in my flower arranging but make it a contemporary design. 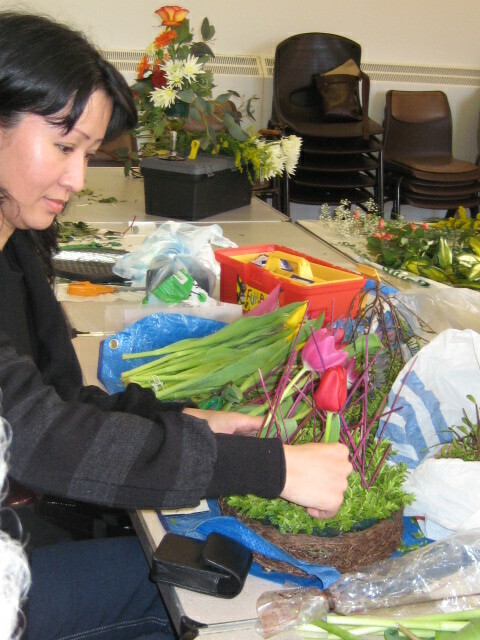 All the ladies from my flower arranging group know by now i like using pinks in my designs. 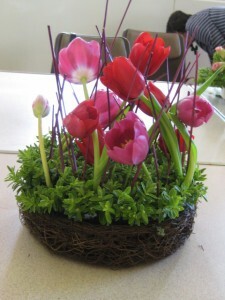 I had some pink twigs at home and a nice wicker basket. Most of my ideas come out of the blue when i see something lying around! I used the pink twigs to support the tulips and a layer of hebe to cover the floral foam.